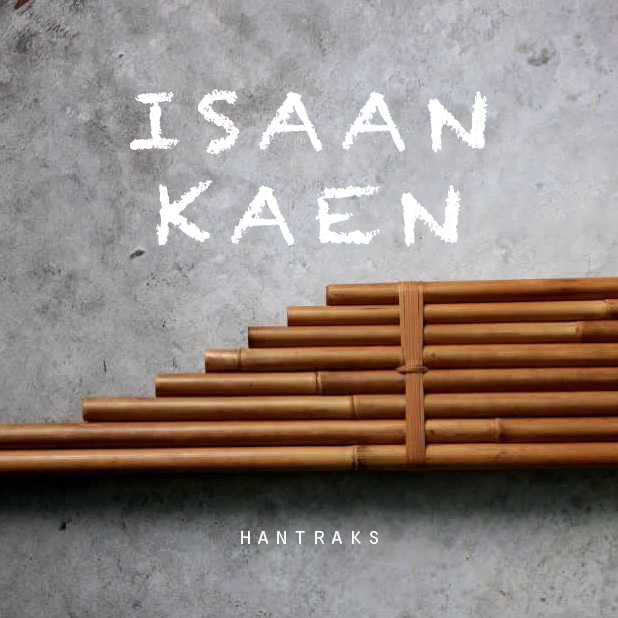 A track fresh-out-of-the-(Thai)-kitchen under my new moniker “Hantraks”! This time round featuring the sounds of Northeastern Thailand, or “Isaan” (อีสาน). You may have not heard of Isaan, but you have already tasted it. Isaan produces the majority of rice exported from Thailand. The most distinctive instrument from this region is undeniably the “Kaen” (เเคน), a wind instrument resembling a panpipe. Unlike the selective blowing of panpipes, the notes of the Kaen are sounded ontop of a drone, much like a bagpipe. The Kaen permeates the music of Northeastern Thailand and my favorite genre is “Lam Klon” (ลำกลอน) or literally, a “poetic dance.” An MC freestyles over the Kaen and is accompanied by a dancer. From time to time, the trio step their feet to give a beat to the music. Honestly, when you listen to the complexity of the lyrics and rhythmic counterpoint, it’s like Hip Hop freestyle rapping – just with a little less booty. Although Isaan may be the poorest region of Thailand, Isaan people are known to be the most hard-working and resilient of Thais (like the stereotypes of uptight East Coast and chill West Coast). From taxi drivers to premium sushi chefs – if you can do it, Isaan Kaen too!